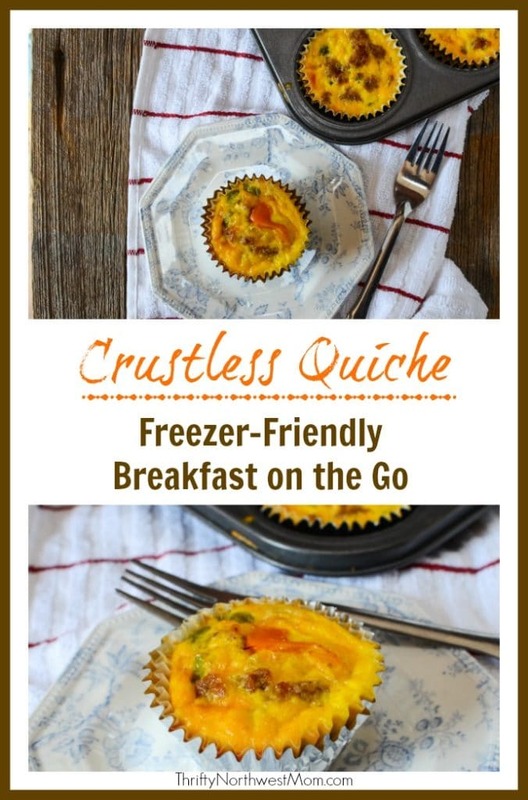 Crustless Quiche in Muffin Tins for Freezer Friendly Breakfast! 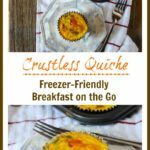 Crustless Quiche in Muffin Tins – Freezer Friendly for Quick Breakfast! 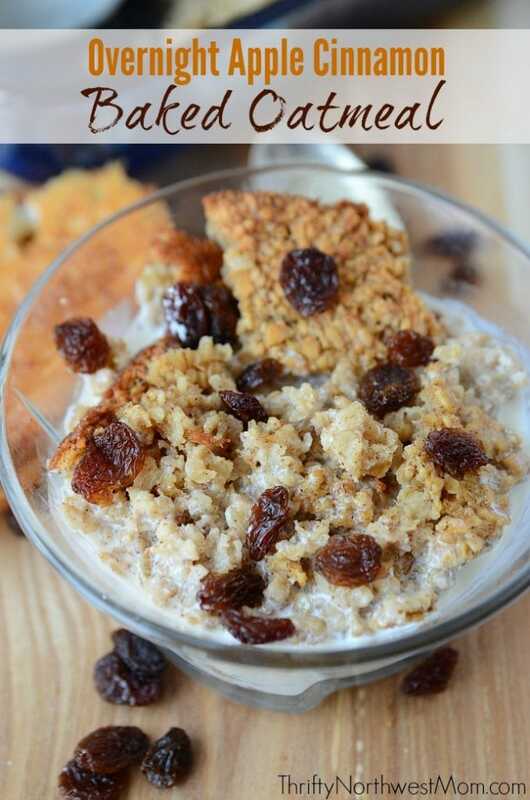 Mornings can be so busy and it’s often hard to find time to make a healthy, filling breakfast, yet we know how important a good breakfast is to start your day off right. My family is not a family of early morning people, so we are always rushing around in the mornings and often grabbing a quick breakfast to take with us. So, I am always on the hunt for ideas of make-ahead breakfasts that offer protein to give you that extra energy we need to get through our day. 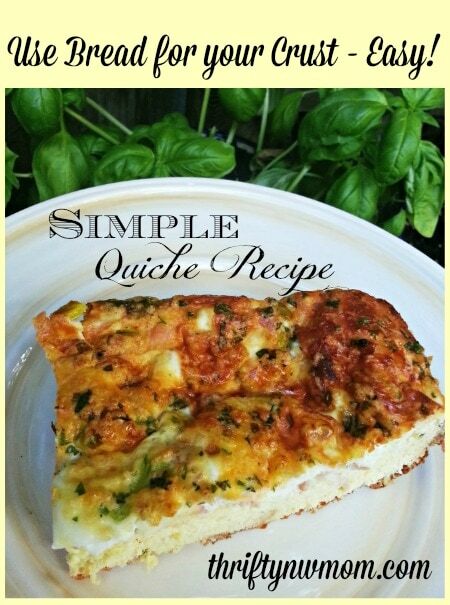 Quiche is one of those breakfast items that I have always loved but it can be more time-consuming to make. However, make-ahead crustless quiche is the perfect make-ahead meal as you can prepare it in muffin tins and then freeze these individual portions. 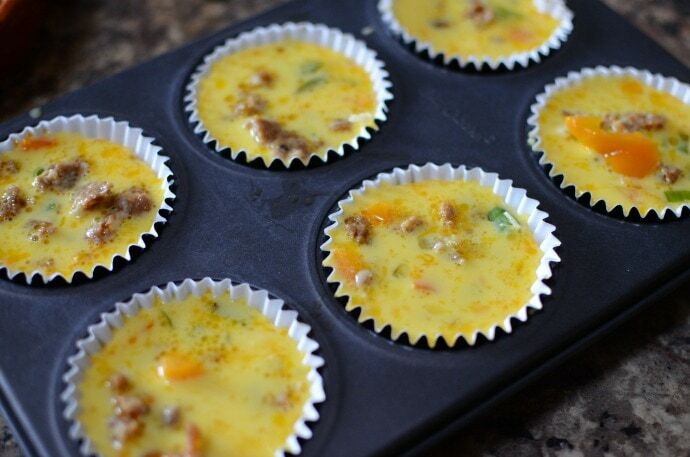 The muffin tin size is the perfect size for kids to have one or two for breakfast, too! No need for thawing the night before, either, you can just pop these in the microwave or toaster oven to heat up in the morning before work or school. Coat a nonstick muffin tin generously with cooking spray or use muffin tin liners (foil lined work best). Heat a large nonstick skillet over medium-high heat. Add sausage and cook until golden brown, 6 to 8 minutes. Transfer to a bowl to cool. Add oil to the pan. Add veggies and cook, stirring often, until golden brown, 5 to 7 minutes. Transfer veggies to the bowl with the sausage. Let cool for 5 minutes. 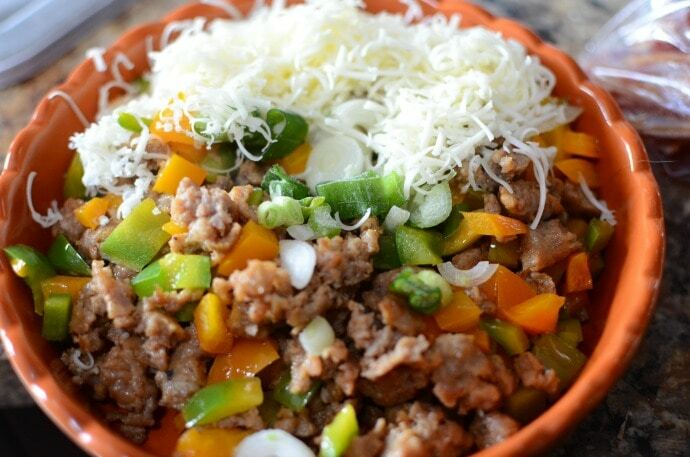 Stir in scallions, cheese and pepper. 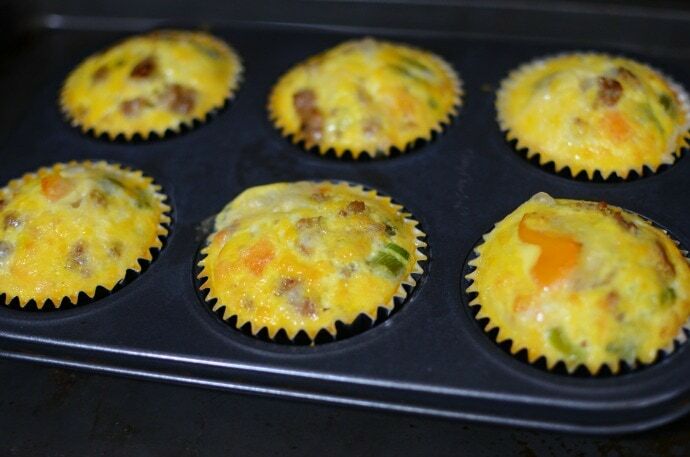 Divide the egg mixture evenly among the prepared muffin cups. Sprinkle a heaping tablespoon of the sausage mixture into each cup. Bake until the tops are just beginning to brown, 25 minutes. Let cool on a wire rack for 5 minutes. Place a rack on top of the pan, flip it over and turn the quiches out onto the rack. Turn upright and let cool completely. Tip: A good-quality nonstick muffin tin works best for this recipe. 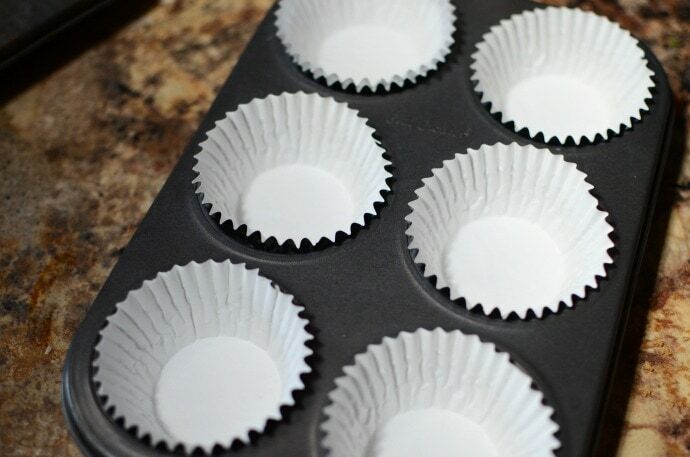 If you don’t have one, line a regular muffin tin with foil baking cups. Put in your freezer for up to 1 month. To reheat, remove plastic wrap. Here’s a printable version of the Crustless Quiche recipe for you to print off to put in your recipe binder or notebook. 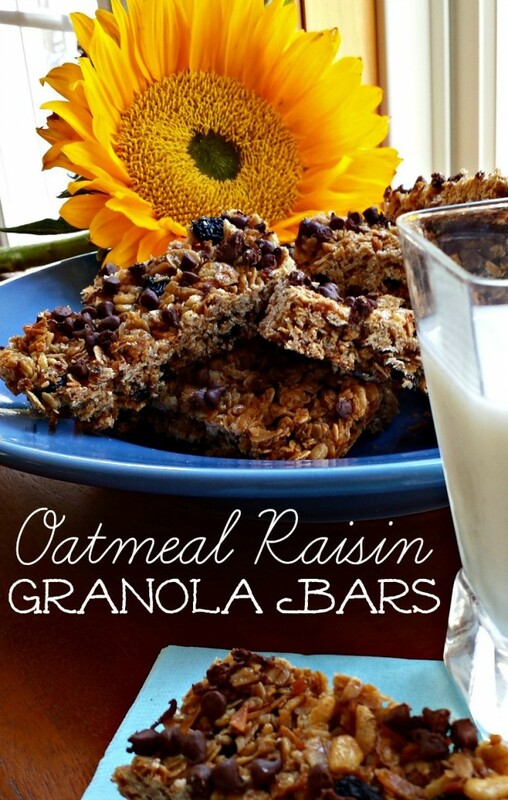 What is your favorite make-ahead breakfast idea?